Digital engagement is one of those things we all know we need to be doing, but that we don’t always dedicate time to. But if we can get over the hump and do it consistently, the benefits can be amazing. 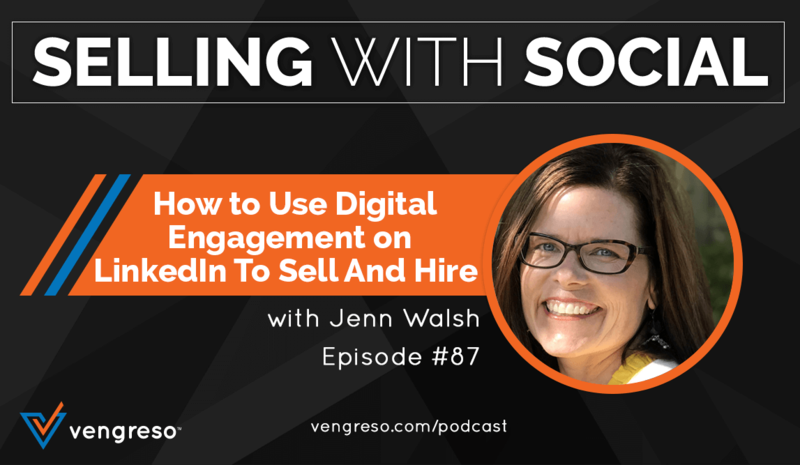 On this episode of #SellingWithSocial, Mario asked his friend and partner, Kurt Shaver to guest-host and to speak with one of his friends, Jenn Walsh about how to use LinkedIn and other platforms for better digital engagement. Jenn is a seasoned sales professional in the insurance industry and has recently started her new consulting company, Genuine Shift. 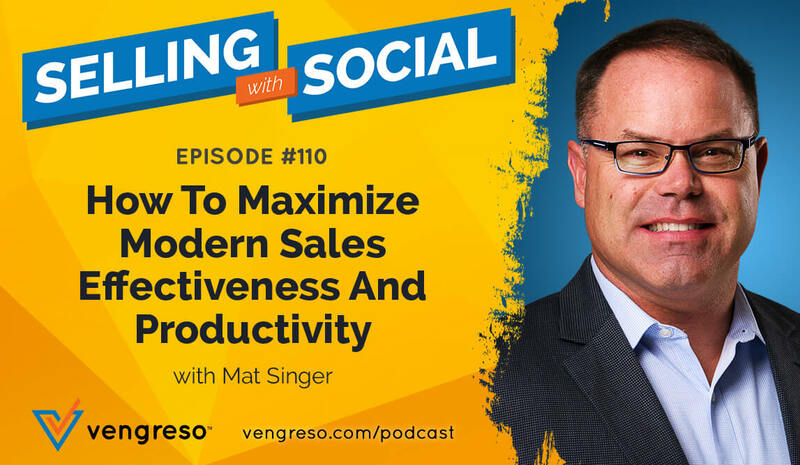 In this conversation, Kurt and Jenn discuss how sales teams can approach “team selling” using social networks like LinkedIn, why digital relationships matter, how LinkedIn can be used proactively to bring in new talent, and wrap up with some easy wins on LinkedIn that can ensure you’re ready to engage digitally. Don’t miss this great conversation. Much of the way sales is done using social media has to do with sharing content that builds your reputation as an authority in your industry. A big part of that is utilizing the social media resources your company provides. 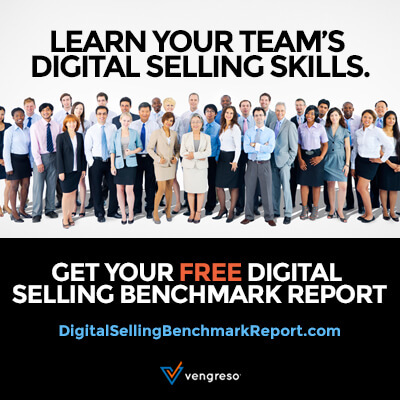 But there’s more that can be done within sales teams – not only to leverage company resources but to tag-team digital engagement with prospects. Jenn refers to it as “team selling.” In this episode, she explains what “team selling” can look like on LinkedIn and how it can change the way you think about digital engagement, on this episode. The 20th-century approach to sales was based on the belief that long-standing relationships are the only way that trust is built. In that model, there is no substitute for time. I’m definitely not going to say that long-standing relationships are irrelevant in the digital age, but I will agree with Jenn’s premise that digital engagement makes the possibility of a shorter timeline for building trust a reality. In this episode Jenn describes how you can leverage your digital assets – from your LinkedIn profile to your company’s resources – to make it possible for modern buyers to check you out, come to trust you, and feel comfortable buying from you in a fraction of the time it takes to build one of those long-standing relationships that were so important in the past. You won’t want to miss her advice. LinkedIn is a powerful channel sales organizations can use to find and court new talent for their organization. But many companies are not taking full advantage of the opportunity. 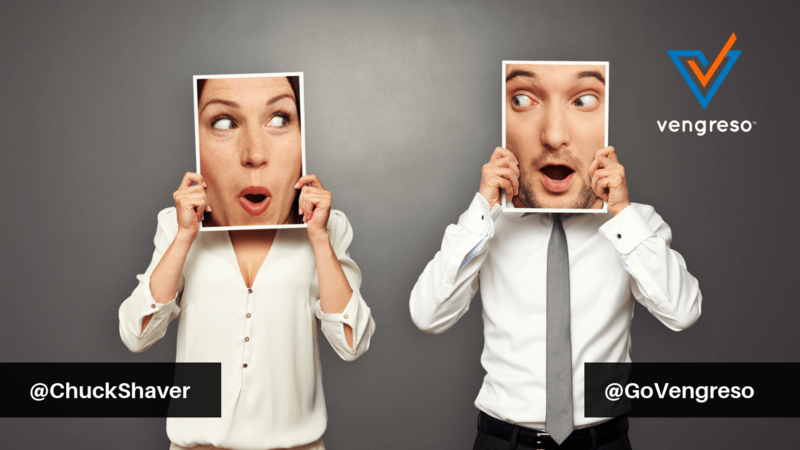 Jenn says you need to realize that the young, fresh, hungry candidates for your sales positions are digitally savvy. Among other things, that means what they see online has a tremendous influence on them. That’s why your social media profiles need to be modern, current, and aligned with the freshest approaches in your industry. In this way, you’ll demonstrate that you (and your company) are forward-thinking and can be assured that the younger candidates you’re engaging with will feel supported and empowered working with you. A few times in this conversation, Jenn mentions the importance of updating your LinkedIn profile. But what exactly does that mean? Jenn highlights a number of things you can do to update your information and position yourself in a more impacting way. But one of the most practical and helpful things she mentions is the power of printing out a hard copy of your LinkedIn profile. There’s something about seeing it in black and white that enables you to notice things you overlook on the screen. You can even hand the print-out to a colleague or friend and ask them to look it over and make suggestions. Jenn shares many practical tips just like this during this conversation, highlighting how you can leverage your digital engagement for more sales, so don’t miss it.